When I bought my AVS Model T5 for my Lexus, the center caps came with the rims as standard. Bolted with tiny allen screws, those center caps gave the wheels a complete look. Unfortunately. 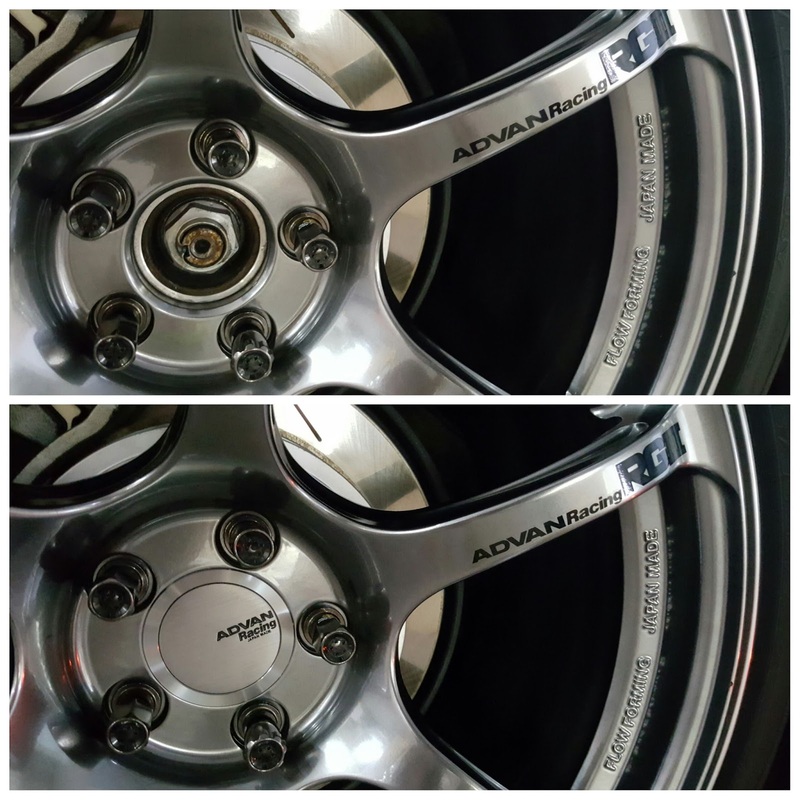 it was a pity that Yokohama Wheels made the center caps for the Advan Racing series an option rather than a standard. Perhaps they were an option because center caps are not allowed on the race track or in competition for safety reasons. Without being outdone by cosmetic appeal, I had them ordered for the sake of completeness after much contemplation because those little caps do not come cheap. I opted for the full flat hyper black V0333 because they would match my RGIIIs best in my opinion. Nevertheless, there are a couple of variants available for those with different taste. 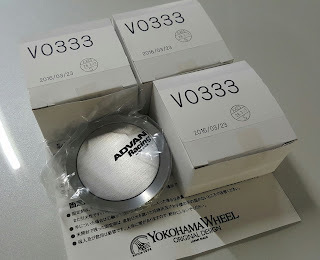 Unboxing the center caps and you will know why they are sold at a catalog price of ¥4,200 per piece. 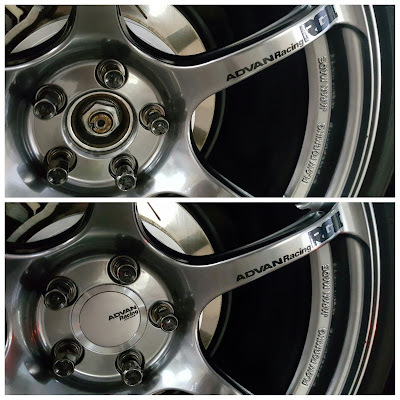 Unlike those plastic center caps found on some other makes and cheap China made knock-offs, these caps from Advan are made from metal. While I am unsure if they are alloy or stainless steel (because of the brushed metal look and I was too lazy to bother), it definately is high quality metal by definition. The only issue I had was that my customed hub rings weren't done very well and the marginally thicker than normal dimensions meant resulted in an inperfect flush fitment in 2 of my center caps. While this had nothing to do with the quality and built of center caps itself, my fitments were not perfect for 2 of my wheels. A point to note during installation but thankfully, the gaps were small and not too obvious. Well machined and aesthetically pleasing, they certainly look awesome. It's pretty obvious from the photo that the Advan center caps did do my hyper black RGIIIs some street justice.